For cheese and wine lovers this is the perfect combination. 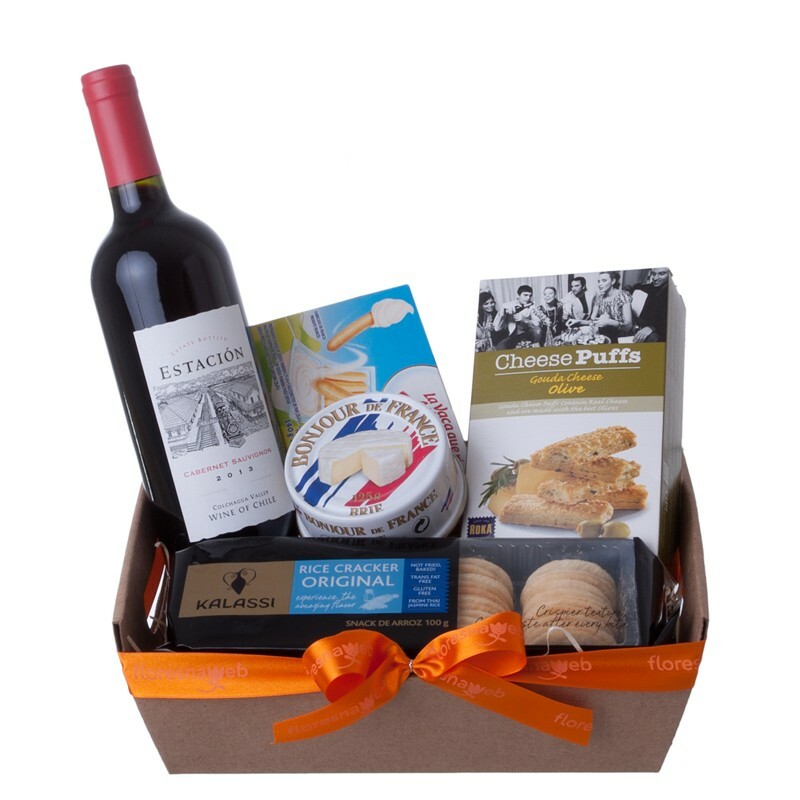 This gift includes one bottle of Chilean red wine, two cheeses, crackers and gouda cheese puffs or parmesan chips. Delivery will be made through the Post Office, with the guarantee of quality flowers on the web. Delivery will take place between 9 - 18:00hrs. Exclusive wrapping, gift basket or gift box by Floresnaweb. In case any of the above products are unavailable we will substitute for a similar product of the same value and quality. Rest assured your gift will be a success.